The charges against embattled actor Jussie Smollett may have been dropped, but he’s still guilty. 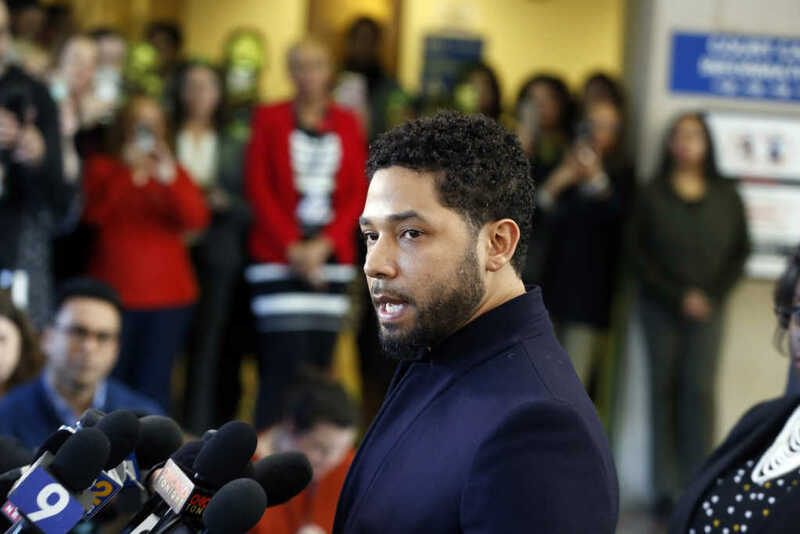 For those who haven’t been keeping up with the Smollett saga, the “Empire” star was charged one month ago by a grand jury with 16 counts of felony misconduct after it was revealed he staged a racist, homophobic attack against himself in order to advance a moral narrative about social justice and to propel his own career. Smollett falsely claimed he was attacked by two masked men wearing “Make America Great Again” hats — a symbol of support for President Donald Trump — on Jan. 29 at the entrance of the Loews Hotel in Chicago. He said at the time the unidentified individuals slipped a noose around his neck and yelled racist and homophobic slurs in his direction. It was later revealed the two men arrested for the attack, Olabinjo Osundairo and Abimbola Osundairo, were connected to Smollett. Police believe the actor paid the brothers $3,500 to fake the attack. On Tuesday, the judge handling Smollett’s case granted a nolle pros, which essentially means the case has been dropped and that the celebrity will no longer face prosecution for his alleged crimes, according to Fox News. I am a man of faith and I’m a man that has knowledge of my history and I would not bring my family, our lives, or the movement into a fire like this. I just wouldn’t. Now I’d like nothing more than to just get back to work and move on with my life. But make no mistake: I will always continue to fight for justice, equality, and betterment of marginalized people everywhere. This entire ordeal begs the moral question: do the ends justify the means? Clearly, to Smollett — “I will always continue to fight for justice, equality, and betterment of marginalized people everywhere” — they do. Can one, though, really teach a moral lesson in an immoral way? I’d argue it’s impossible, but by dismissing the case against Smollett, the judge indirectly suggested the opposite. It should be noted, unlike what Smollett’s legal team is suggesting, the TV star was not exonerated. The charges against him were simply dropped in exchange for his agreement to do community service. More from the asst state's attorney: "Here's the thing — we work to prioritize violent crime and the drivers of violent crime. Public safety is our number one priority. I don't see Jussie Smollett as a threat to public safety." Regardless, Smollett tried to weaponize moral rightness to get his way, and we shouldn’t forget — legal charges or not — he’s guilty and should be held accountable for that. For the believer — and Smollett claims to be a “man of faith” — there is no loophole; there is no divergent strand in the perfect thread of holiness. We are responsible for all our decisions, good and bad, and their outcomes, good and bad. The Ten Commandments don’t come with an asterisk and our sanctification as a result of Jesus’ finished work on the cross doesn’t come with reservations. There is no way to justify immoral behavior, yet that’s what Smollett and his sympathizers are trying to do. Smollett is a hypocrite; so am I and so are you. The difference here is Smollett got caught before being allowed to get away with it. I’ll give the the 36-year-old actor the benefit of the doubt and assume he was trying to start a national discussion about how to handle injustice. If that was the case, he nullified his own moral standing — martyring himself for his own selfish gain — to start a conversation about the very morality he eclipsed. We all do it. We all fall short and we all miss the mark. The Smollett saga should serve as a cautionary tale to all who have observed it. The ends alone do not justify the means. Only that which is morally right justifies the means we use to accomplish our goals, no matter how righteous they might be. Each of us is, like Smollett, guilty. But those who are in Christ can rest assured we have been justified and our penalty has been paid.